The way people create and consume content is continuously changing. It has shifted from a time where stories were passed on orally to one of exciting new computer-generated mediums that are profoundly immersive. However, with each leap technology takes, there is resistance and fear of change. People have thought books, radio and TV were evil at various points throughout history, but progress has continued to the point where we are constantly on the cusp of a new revolutionary development. From a business perspective, it’s important to recognise these changes and understand their business value. But predicting change isn’t easy and massive disruption isn’t always foreseeable. We used to dream of androids, hover cars and universal translators, but did anyone predict the ubiquity of the internet? Virtual reality, on the other hand, has been a long time coming. And now we’re in a position where we not only dream of its potential across industries and contexts, but experience it as well. Virtual reality isn’t something that has come out of the blue. Talented inventors have been working on making it a reality since at least the 1950s. Morton Heilig is a popular example of early VR pioneers. His Sensorama machine was one of our first steps into a virtual world. 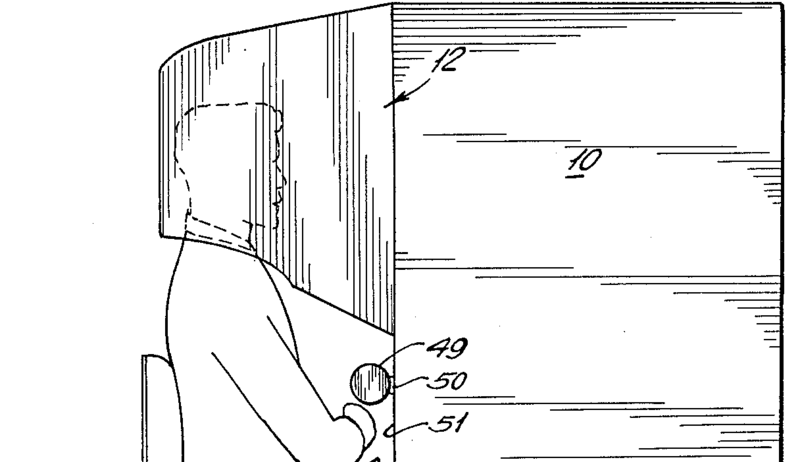 The user would be taken on a journey using a large, arcade-like device that the inventor called the "cinema of the future". His innovative entertainment machine offered more than visual immersion; he had created a multi-sensory experience with a tilting chair, wind and smell. The Sword of Damocles. Source: YouTube. Another early pioneer was Ivan Sutherland, a renowned computer scientist who worked on the foundations of computer graphics. His head-mounted display called "The Sword of Damocles" was a step towards what he envisioned as "the ultimate display". For him, such a display wouldn’t only be visually immersive, but it would be a room in which a computer could "control the existence of matter" (Augmented Reality: "The Ultimate Display" by Ivan Sutherland, 1965). Why the dramatic sounding name? The device was so heavy that it needed to be mounted on the ceiling, reminiscent of an ancient moral anecdote in which a sword hangs from a single hair. Let’s just hope that this isn’t an allusion to any danger that comes with the future of modern day VR. In 1996, VR was the next big thing in gaming. Source: Imgur. We’ve come a long way since those pioneering days. But for many, it has taken longer than expected. 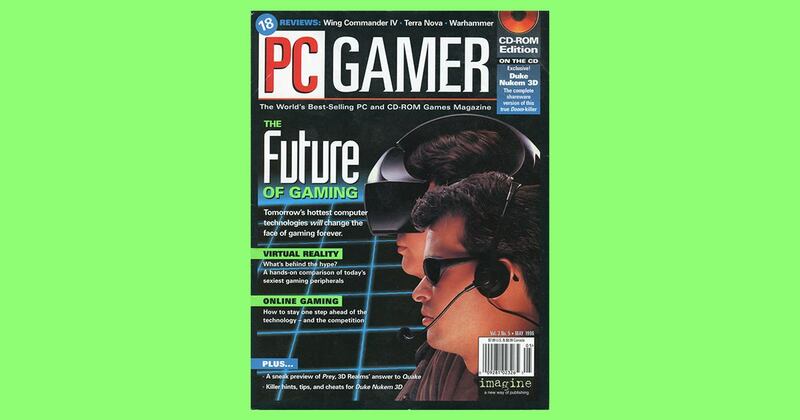 I recall PC Gamer magazines of the 1990s promising cool VR games that were right around the corner. But the step between invention and innovation can be large, and it takes time for people to figure out how best to use new technologies. It’s also about the need for chips to shrink and prices to come down. But as soon as something diffuses into everyday use, progress is exponential. Now no-one can seriously say that virtual and augmented reality (VR/AR) haven’t finally become mainstream. 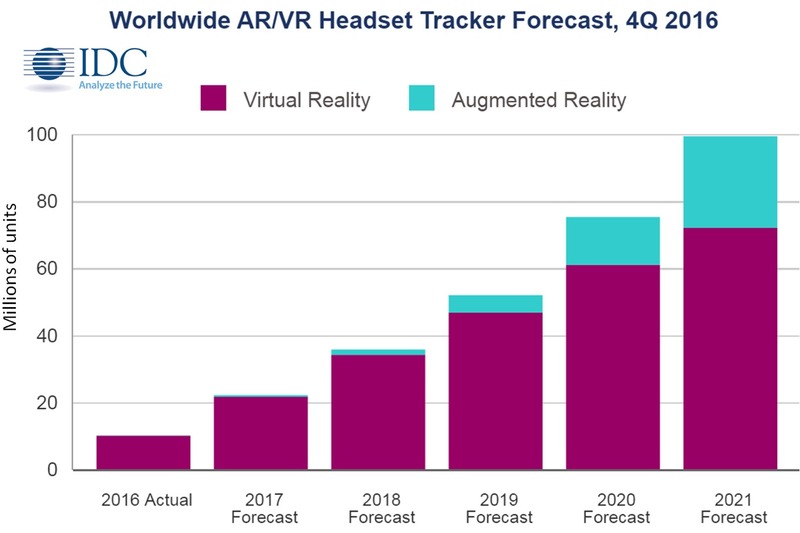 The VR/AR market was worth US $3.9 billion in 2016, and 2017 is set to beat that performance by a considerable amount. By 2021, TechCrunch predicts that the market will be worth $108 billion. Of Gartner’s three high-level strategic trends for 2017 and beyond, one is specifically about virtual reality. Namely, Gartner believes that "Digital experience and engagement will draw people into nonstop virtual interactions." Star Wars Battlefront Rogue One for PlayStation VR. Source: YouTube. First, the obvious one. Virtual and augmented reality has arrived for games in a big way. The success of Pokémon GO was a significant news story in 2016, and its mix of AR and urban exploring was popular with players of all ages. Another success story comes from an even more well-known franchise — Star Wars. The first and third person shooter game Star Wars Battlefront recently introduced a VR mission in which players can pilot an X-Wing. It was released in conjunction with the opening of Rogue One, Disney’s first Star Wars spin-off film. And yes, you read correctly, you can pilot an X-Wing! Game reviewers now dedicate whole categories to VR games. The popular entertainment website IGN listed Batman: Arkham VR as their best VR game of 2016, one of numerous "best of" lists for VR/AR gaming. The traditional retail industry is struggling and stands to gain a boost from VR/AR technology. Stores see investment in VR as a way to provide unique and engaging experiences that draw customers back. In fact, according Harvard Business Review, this technology "offers retailers the opportunity to transform how people shop". We spoke to Michael Harboe about one of Virsabi’s retail projects: "Currently we have a very exciting project with a Danish jewellery company who want to make it more interesting to visit their retail stores. They see virtual reality experiences as a way to achieve this. They aim to make an in-store brand experience that creates a very strong emotional connection between the brand and the customer. 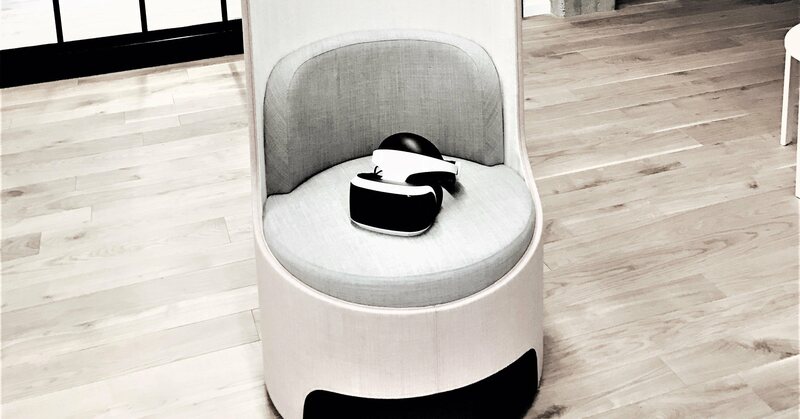 Our solution is to create a tailor-made, plug-and-play VR chair for their stores as well as deliver creative content for the VR experience." Labster wants to revolutionise science education. Source: YouTube. The new content medium is an attractive option for science, technology, engineering, and mathematics (STEM) education. A Danish start-up called Labster is one of the innovators in this space, creating virtual labs where students can mix and blow up stuff without causing any physical damage. With Labster, students get hands-on experience with the latest technology and can explore and experiment to their heart’s content. In this way, virtual reality and mathematical algorithms give students the opportunity to use equipment that they wouldn’t otherwise have. Labster’s combination of an immersive 3D universe, gamification and a wide range of possibilities makes it invaluable for education institutions: MIT, the University of Copenhagen and Harvard are already using it. Of course, this is especially interesting for universities in poorer countries, as it may help them narrow the gap to the Ivy League set. Decorilla uses VR for interior design. Source: YouTube. Designers and architects work in a very visual realm. They are the creators that take a vision and make it real. But selling a vision to others can be difficult. According to Michael Harboe "Communicating and getting approval from a client can be a struggle. Abstract ideas and drawings are hard for many people to understand, even computer visualisations are tricky for most." The VR specialist goes on to say "That’s why there is room for a revolution in this space from virtual and mixed reality. The benefits of using VR boil down to reducing the cost of errors and subsequent changes that arise during project realisation." Technicians from ThyssenKrupp use Microsoft HoloLens. Source: YouTube. Using virtual reality as an aid for technicians has massive potential for growth. You can already explore exciting new use-cases for the Microsoft HoloLens in this space. The example above from ThyssenKrupp shows how the HoloLens aids their elevator technicians, allowing them to study elevators remotely. In doing so, they can see exactly what's needed before leaving the office; going to the job site better prepared than they would otherwise be. While at the site, they have up-to-date information on the elevator and can receive the latest safety alerts. Not only that, but they can call subject matter experts while on the job and send them a live feed of what they are working on. This augmentation of the technician has massive potential for increasing productivity. According to Michael Harboe, "Augmented reality for technicians will be the most valuable use of augmented reality in the enterprise segment. This technology is relevant for all companies that need to maintain technical equipment, such as engines, elevators, robots, wind turbines and ships." He continues "This use of HoloLens and mixed reality is where it all will explode — it's amazing what it can do for companies once they accept it as a tool we can wear." Tivoli is adding thrills with VR. Source: Politiken. The examples for VR/AR’s potential to provide new experiences are almost endless. Tivoli, the oldest amusement park in the world, has a new roller coaster attraction that enhances the thrills through virtual reality. Google translate makes great use of augmented reality with its invaluable translation app. Just point your camera at a foreign sign that you don’t understand and voila! You now know your way around any town. The business lesson here is that it’s not enough to use this new technology — it’s about using it in a way that adds value and provides the audience with a great experience. Be it for the training of employees or creating excitement in your target audience, it’s just another content medium where, at the end of the day, quality and how you use it is king.